Ceylon black tea is the name given to black teas grown in the island of Sri Lanka. These beautiful teas vary greatly according to the tea garden where they are produced. What makes this tea special? There are several Ceylon tea sub-varieties all with twisted black tea leaves that brew an extraordinary light to dark coppery brew with an amazing flavor perfect for a breakfast or afternoon tea. Healthy, fragrant and delicious, this is a black tea that is present in numerous blends of the best known tea brands around the world. Come and give black Sri Lankan tea a sip! 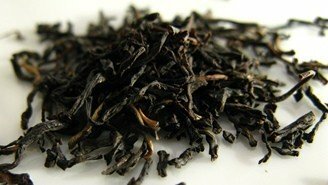 What is Ceylon Black Tea? Sri Lankan black tea has a rather short history dating back to the middle of the 19th century, which isn’t that long when you consider that China has been producing tea for thousands of years. Ceylon tea actually derives from the Chinese tea plant – camellia sinensis – that was brought to Sri Lanka in 1857. Mass production only began years later when a virus destroyed the island’s main crop: coffee. This is one of the best black teas around: traditional tea picking and processing is still used to preserve quality. 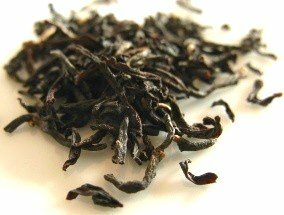 It is bolder and darker than most Darjeeling black teas, and lighter than a regular Assam, with less of its malty profile. Today tea is grown year-round in Sri Lanka, from the central massif to the surrounding lowlands. This tea is one of the few things that are still referred to by the old British colonial name of Ceylon due to its amazing reputation. Sri Lanka has become one of the largest tea producers in the world and also one of the greatest exporters of teas. It is either sold under the name of the estate when tea comes from a single origin or as blend under the Ceylon tea name label. 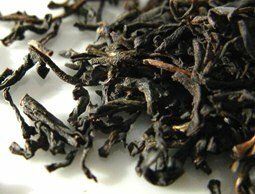 Ceylon black tea has also found its way to some great breakfast and fruit blends as well as being one of the bases of the world famous Earl Grey tea. Take a moment to learn more about the origins and production of Ceylon tea. This black tea varies greatly depending mostly on the location of the producing tea garden. And tea gardens are classified in Sri Lanka according to altitude. High-grown teas – these teas grow in gardens that are above 1200m in altitude. Tea leaves grown in high altitudes are dark brown in appearance and brew a delicate and light tea. These teas are considered to be of very good quality and may be rather expensive. With light golden liquor, these teas are fine, smooth and have delicate floral notes. They are considered more aromatic and sweeter than other Ceylon black teas. The Nuwara Eliya district in central Sri Lanka is famous for producing high-grown teas all year round with exceptional quality. Middle-grown teas – tea estates that produce these teas are located between 600m and 1200m in altitude, such as those in the district of Kandy. These teas are a combination of the characteristics of high and low grown black teas. Teas grown here are strong and medium to full-bodied. Aromatic and rich these are quite unique teas in their own way. Low-grown teas – these teas are produced in tea estates from sea-level to 600m in altitude, such as those in the district of Galla. Darker and stronger, low-grown teas are typically made up of uniformly superior black tea leaves. Once brewed the leaves turn a beautiful shade of copper. These robust and full-bodied teas are dark red in color. As for flavor, these are hearty and very rich teas, typically used as filler for many tea blends. With such wonderful variety of flavor and color, Ceylon black tea is also rich in benefits. Let’s take a look at a few. This Ceylon tea is rich in vitamins A, B1, B6 and C, antioxidants and minerals, which may be responsible for a number of benefits of tea you may find when drinking this tea. The amount of antioxidants present in Ceylon black tea is very beneficial to improving heart health. Not only is this said to strengthen the heart, but also is may help to lower bad cholesterol and blood pressure. Due to the presence of caffeine in this tea, you should take care before drinking this tea if you suffer from previous heart conditions. Seek the advice of your doctor in this case. Drinking black tea on a regular basis is said to help boost your metabolism and improve your digestion. A nice warm cup of Ceylon black tea after each meal may help sort your digestive troubles. Weight gain is sometimes caused by the inability of your body to process foods properly. Tea helps to boost metabolic rate, helping your stomach to break foods faster and moving fatty elements out of your body quicker. With the help of a healthy diet and plenty of physical exercise this may be the start to loss of weight. With the added energy given by this tea, you will feel more motivated to exercise, too. This cleansing tea helps to lower blood sugar levels and at the same time it helps to clear away toxins from the kidneys helping them to work properly. As a black tea, this Ceylon tea contains caffeine. Caffeine in tea helps to keep the mind alert and focused throughout the day. This caffeine is released into the bloodstream slowly, not causing the jittery feelings that coffee does. Tea leaves also release another amino acid into the water that makes tea the perfect substitute for coffee. This amino acid is called L-Theanine, which has a calming effect on the nerves. This tea is rich in vitamins and minerals making it quite a nourishing tea. At the same time, this black tea also contains antioxidants that may help to improve your immune system. Such a rich tea may aid your body in keeping up its defenses against infection and inflammation reducing the risk of illness. Viruses and bacteria have less of a chance of doing you harm. The presence of a high amount of antioxidants in your everyday cup of Ceylon black tea may help to prevent the damage that is caused by free radicals to your cells. Free radicals harm your system through environmental pollution or daily stress you are subjected to. These not only may cause aging of your skin cells, but may lower your defenses and bring about the growth of tumor cells. Although a lot of further study is needed on this regard, there seems to good indication that regular consumption of tea may help to prevent the onset of stomach, prostate and breast cancer. As with many black teas, this tea also contains some caffeine, even though it generally has less caffeine when compared to a regular cup of coffee. A tea grade that contains more leaf tips and buds will have more caffeine than one with larger older leaves, so a good Ceylon black tea may be quite rich in caffeine. Feelings of irritability, headaches, nervousness and difficulty sleeping or even insomnia may be signs that you may be intolerant to caffeine. Consider choosing a decaffeinated tea or an herbal tea. If symptoms such as dizziness, blurred vision and skin rashes persist then you should consider speaking to your doctor about it quickly. Pregnant or breastfeeding women should refrain from drinking caffeinated teas such as this one without speaking to their doctor previously. Caffeine has its benefits, but too much can be harmful for you. Drink tea in moderation if you are sensitive to caffeine. 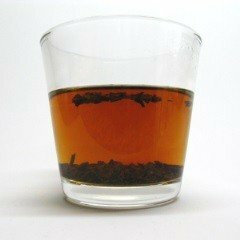 This Sri Lankan black tea is a wonderful beverage that is quite easy to make. So just follow some simple suggestions and soon you will be relaxing to a great cup of tea. Come and learn how to make Ceylon black tea. The best teapots for this type of tea are large ceramic ones, round in shape so that the tea leaves have ample space to open and swirl around while brewing. Preheat your teapot and cups using hot water which may be discarded when the surface of the ceramic feels warm to the touch. Place one teaspoon of loose leaf black tea per cup of water (250ml) inside your teapot. As become more familiar with this tea you may wish to increase the strength of your tea by increasing the amount of tea leaves per cup. Bring water to a boil or just under boiling point (95ºC or 203ºF) and pour into the teapot. When brewing tea make sure to use good quality water as the mineral content will alter the flavor of your tea and even ruin it. Let your tea steep for about 3 to 5 minutes. You can use a basket tea infuser making it easy to quickly remove the tea from the teapot once the time is up. If you don’t use an infuser, the best rule is to only brew the amount of tea you will drink so that you can fully drain the teapot. This will allow you to reuse the same tea leaves and prevent the remaining tea from becoming too bitter. Serve your tea plain or with sugar and lemon. Some people actually enjoy adding a splash of milk to Ceylon black tea as its slightly astringent and fruity flavor can take it. 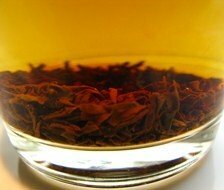 This is a coppery-colored tea with a wonderful odor that contains both flowery and woody notes. 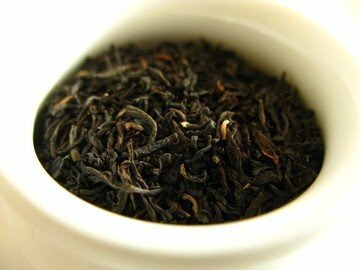 0 Response to "Ceylon 50 Benefits of Black tea Orange Pekoe"